3 and 4 year olds can still be rear facing! Bunny is currently rear facing at 15 months old, and about 20 pounds. Bunny will continue to be rear facing until she outgrows the weight and height limit of her car seat. Why is rear facing better than forward facing? Young children are at a higher risk for head and spinal cord injuries because their ligaments and bones are still developing. A child’s head is proportionally larger than their necks, making the structural support system unsteady. Rear facing seats give your child’s head, neck and spine the best support from a car seat, and prevents your child’s head from being thrown away from their body in a crash. The most common concerns about rear facing car seats for toddlers and children are easily addressed. Will my child be comfortable rear facing? Won’t they get car sick? No, your child will be just fine! Most toddlers and children are more comfortable rear facing because the car seat is reclined and it is MUCH more comfortable to sleep reclined vs upright. (Hopefully your child falls asleep in the car, Bunny does NOT!) Also, they can rest their feet on the seat instead of having their feet dangle over their car seat unsupported. As for getting car sick, the direction the seat faces rarely has an impact on motion sickness. Rear facing is what your child has been used to from the beginning. Why turn them around now? Will my child’s feet or legs be injured while rear facing because they are bent, crossed, or touching the back of the seat? This is a VERY big misconception among parents. During the most common type of crash (frontal), the child’s legs will fly up and away from the back of the seat. It is much more important to protect your child’s head, neck and spine in a crash, which is what rear facing car seats do best. Not convinced? Take a look at this study done by Children’s Hospital of Philadelphia that looks at children’s injuries ages 1-4 resulting from a crash. Leg injuries were rare for children in rear facing car seats, but injuries to the lower extremity region were the second most common type of injury for children who were in forward facing car seats. Why? Because the legs of a child in a forward facing car seat are thrown forward in a crash and can hit the console or the back of the front seat. The study states, “Injuries below the knee were the most common, particularly to the tibia/fibula, and they most often occurred due to interaction with the vehicle seatback in front of the child’s seating position.” Most children find a comfortable position for their legs. Bunny either rests her legs against the seat or hangs them over the edge of her car seat. “In a forward-facing car seat during an accident, your child’s arms and legs fly forward and are more likely to be injured. In a rear-facing car seat, the chance of injuries to the arms and legs in a crash is less than 1 in 10,000,” says Ben Hoffman, a nationally recognized injury prevention specialist and pediatrician at the Doernbecher Children’s Hospital, Oregon Health & Science University. My child fights me when I put him/her in the car seat, wouldn’t it be easier if the car seat was forward facing? Most likely, no. Most children go through a phase of disliking the car seat and/or the car. Bunny certainly did. She hated the car from the day she was born until recently. FINALLY at 15 months she doesn’t mind being in the car. Most children fight about a lot of things, eating their vegetables, going to bed, being nice to siblings. 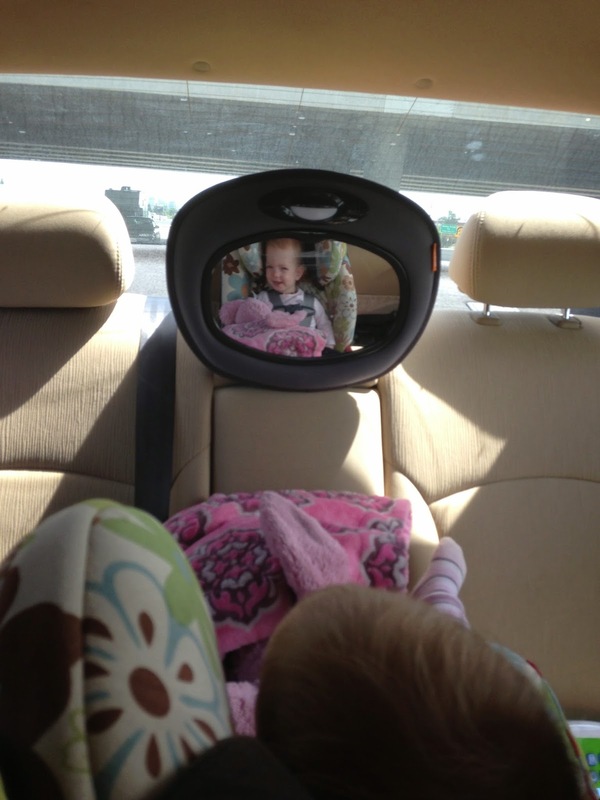 I can’t see my child when they are rear facing. What if they choke or have an emergency? 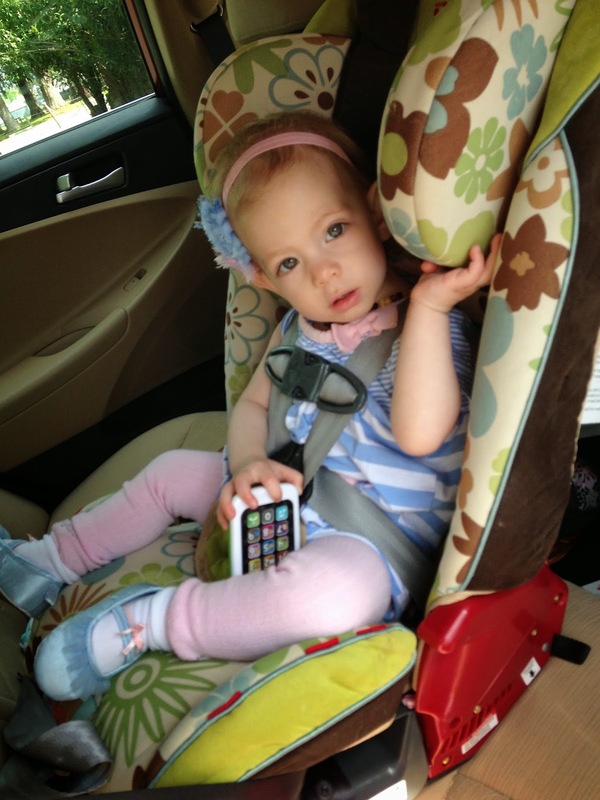 How can I interact with my child when they are rear facing? What if I am rear ended? Won’t my child be less safe if s/he is rear facing? My child is already forward facing! There is NO WAY s/he will be okay if I switch her/him to rear facing! You don’t know how your child will react until you try it! It is mainly the parents who are hesitant about the switch, not the child. Try to make it a positive experience! Or no experience at all. Turn the car seat around and go about your routine as usual. Many parents have turned their children back to rear facing after learning about the safety benefits rear facing provides. The majority of parents have little to no resistance from their child. Give it a try, you might be surprised at how well it is received! Need some cold hard facts? Forward-facing children under the age of 2 are 75% more likely to be injured. Here are some videos showing why children should be rear facing.